A Serious Fraud Office forex trading probe has been announced in the UK. The criminal investigation into alleged price rigging in the $5.3 trillion per day London Foreign Exchange Market, the biggest in the world, is underway. Experts say the investigation could lead to a bigger and more expensive problem for banks than the libor rigging scandal. Fifteen different government authorities globally are investigating allegations of price manipulation and collusion. Traders are alleged to have used Internet chatrooms to organize the fixing of benchmark prices. The SFO will focus on activity during a 60-second window when key exchange rates are set – around 4pm each day (usually thirty seconds either side of 4pm). The prices quoted are used by thousands of businesses and organizations as reference rates for trillions of dollars of investment and trade worldwide. As a result of ongoing probes, major banks, including JPMorgan Chase, Barclays, Citigroup, Lloyds and Deutsche Bank have dismissed or suspended about 30 forex traders (and reinstated one). One Bank of England employee has been suspended as the UK’s central bank continues an internal review on whether employees were aware of or condoned forex rigging. British and American regulators have come across several challenges when interpreting evidence they have collected. Forex traders have their own slang, depending not only on which city they work, but also which firm. According to the New York Times, one US regulator said his team had to bring in ‘translators’, i.e. traders who understood the vernacular. In October, 2013, The Financial Conduct Authority (FCA), the U.K.’s financial-market watchdog, announced that it was joining the US Justice Department as well as other regulatory bodies around the world in checking out firms to determine whether there has been any manipulation of the foreign exchange market. Last week, Martin Wheatley, chief executive of the FCA confirmed that his team is exchanging documents with the Serious Fraud Office on the matter. According to the FCA, the probe has led to “unprecedented global cooperation” between financial regulators of several countries. 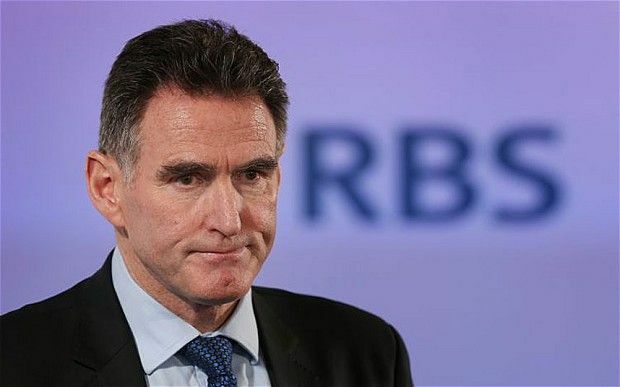 Chief Executive of RBS (Royal Bank of Scotland), Ross McEwan warned last week that foreign exchange rigging could turn into a larger scandal than PPI or Libor. In May, RBS, Barclays, Deutsche Bank, and Société Générale were accused by the European Commission of interest rate rigging involving the euro currency (Euribor). Several have been accused of rigging Libor. In March, US regulators sued 16 banks for Libor manipulation. It is alleged that forex traders are influencing exchange rates by slipping through giant orders during the 60-second window in order to make a profit. It only takes minor exchange rate movements to affect the value of investments such as pension funds globally. London accounts for 41% of global forex turnover, followed by the US (19%), Singapore (5.7%), Japan (5.6%) and Hong Kong (4.1%). The Financial Times quotes legal experts who say that an official SFO investigation might protect some traders from extradition to the United States if the US Department of Justice charges them in parallel proceedings. The UK Treasury is likely to announce extra funding for the SFO, whose resources have been sapped during the Libor-rigging probes. The SFO, like several UK government departments, has been a victim of public spending cuts. Its budget in 2008 was £52 million, compared to just £36 million today.